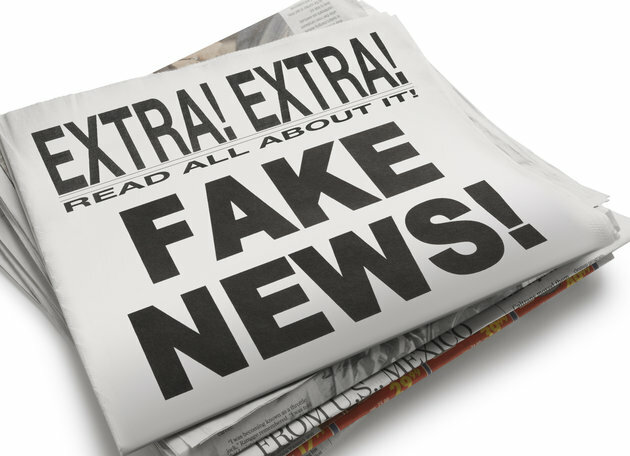 By now most people have become familiar with the idea of “fake news” and “alternative facts.” “Fake news” are stories contrived by news outlets, either legitimate or illegitimate, that are not real, i.e., make-believe. Akin to fake news, “alternative facts” is a newly coined phrase (used specifically by President Trump’s Counselor, Kellyanne Conway) used to describe a different understanding of a particular issue. As now understood, “alternative facts” is a euphemism for falsehoods. Media and news outlets have provided their own explanations of why such a phenomenon has arisen. Some have surmised that it’s due to the desire to influence not just US elections but international elections. Others believe it’s due to show how easily the media can be manipulated. Whatever the reason, the rise of “fake news” and “alternative facts” is nothing new and it is certainly not surprising, given the American culture’s now default belief in relativism. We really ought not be surprised, then, when we see “fake news” and a claim to have “alternative facts.” The current societal milieu is permeated by relativism. A society that is relativistic by default feels free to project one’s own subjective ideas onto reality, or shall we say create his or her own reality? This is exactly what relativism amounts to. If someone thinks it is true that the moon is made of cheese, then such a person has created his own reality because the moon is not really made of cheese. But our culture does not mind such contrived “realities.” Rather, it celebrates such fantasies, stating things like, “Isn’t it great that Johnny’s truth is so unique? It’s just wonderful how his experience has shaped him and how he sees the world from his perspective!” Never mind the contradiction and the inconsistency of outrage if Johnny’s reality runs contrary to a popular cultural reality, such as marriage being defined as one man and one woman or that Jesus is the only way to God. This is how relativism works: it is contradictory, inconsistent, and yet claiming to permit people to live their own illusions. Relativism gives permission to ignore cold hard facts and live how one desires without consequences, unless you stand outside the majority or those who have the power to enforce their views on you, either by law or intimidation. Isn’t this what relativism ultimately leads to—authoritarianism and the ultimate destruction of those who believe differently than those who hold relativism? If relativism is actually true (note the self-defeating nature of this statement—relativism is taken to be absolutely true! ), then who or what will ultimately be the standard(s) by which society shall be regulated and organized? Certainly it cannot be everyone living by his own standard. Why? Because relativism states every person’s standard is merely one’s perspective, which is different for every person. Thus, if everyone lived according to what is right in his own eyes and what he takes to be reality, this would lead to anarchy. No standard for all is the definition of anarchy. Most people recognize the undesirability of anarchy, not to mention that humans simply cannot live and thrive in such a society. Anarchy typically results in mass pandemonium and lawlessness. It’s a Lord of the Flies story. What, then, will be the standard in a relativistic culture? It will eventually be whoever has the power to force others to live by his relativistic “standard” (note the contradictory nature of “relativistic standard”). In short, might will be right. The twentieth century communist experiment bears witness to this. From Stalin and Hitler to Pol Pot and Mao, the 1900s is stained with the blood of the outcome of relativism, in particular, moral relativism and contrived realities that one group of people is superior to another. But note, if relativism is true, then the atrocities of communism and totalitarianism and the subsequent belief in nationalism cannot be condemned as wrong for everyone or anyone. Nothing is condemnable if relativism is true, unless you have the power to enforce your will on someone else. Then whoever has that power gets to declare who is wrong. Thus, relativism is nothing short of a path that leads to violence and oppression. Of course, much of this could be avoided if we would simply recognize the irrationality and absurdity of relativism and once again accept that we must conform to reality rather than having reality conform to us. There is a real world beyond our perceptions. There is a moral law beyond our preferences. There are facts, not just interpretations, contrary to Nietzsche. There is real news that does not conform to our own interpretations no matter how much a talking head or journalist twists and distorts the facts. If anything, the term “fake” in fake news and “alternative” in alternative facts are clear indicators that such “news” and “facts” do not conform to reality and thus relativism is false. At base, we all know relativism is false. We all know that there is no such thing as “alternative facts” and that “fake news” isn’t news at all. Facts are not subject to an individual’s preference or perception. They are something that happened in reality, and there is only one reality. And real news is that which reports the facts. The problem seems to be that some people just don’t like the facts. But facts, or truth, do not care whether you like them. Our duty is to conform to them. Sanity and civilization depends upon this. Of course, to accept that truth is independent of one’s perception and does not depend upon us would require recognizing that the Christian worldview of reality is actually correct. Perhaps this is where the conflict really lies. This entry was posted in Apologetics, Philosophy, Worldview. Bookmark the permalink.